Reiki can be seen as the gift of vitality and self preservation encoded into the genetic makeup of all God’s creatures. It is the higher self’s connection to the universal energy that breathes life into all living things. We are all born with the omniscient wisdom to heal and preserve life. All living things are connected. Our ancestors used and relied on their own abilities and instincts. Unfortunately, these basic skills have been forgotten and are rarely used today. Humanity in its relentless ambition for progress has given up its most precious and natural gift. Many people believe when you are ready to embrace the principles of Reiki you will be guided to a teacher. I personally believe that Reiki with its infinite wisdom and unconditional love seeks out the person when they need it most. There is a non physical ubiquitous energy that gives life to every living organism. For many thousands of years we have known of this energy and have sought to develop ways to harness its power to heal and influence our lives. The Japanese call this energy Ki. It is also known as Chi by the Chinese, Prana by a number of Asian cultures and the Holy Spirit or Holy Ghost by most of the western world. We carry this energy in and around our bodies from the moment we are conceived. Science has established its existence, and with the aid of Kirlian photography we are able to see this energy that encompasses all living things. Ancient Eastern cultures have harnessed and applied this energy for healing since before the birth of Jesus Christ. Many successful disciplines such as Reiki, Tai Chi, Feng Shui, Meditation, Yoga and Acupuncture have been developed to control and greatly enhance the flow of this energy in and around the body. The energy itself is pure and has omniscient wisdom. Reiki is a hands on technique to refresh and renew the flow of your energies in your body. Feel the difference before and after. Leave as a totally relaxed person and enjoy the 1 hour of me time in my calm and centred room. To book in for a relaxing session with me please use the CONTACT FORM. Always wanted to know how to work with the healing energy called Reiki? Wanted to feel how this changes your perception of yourself and the world? The Reiki Level One Workshop will go over 2 days and depending on the numbers will take 8 to 10 hours. 2 Days, 10am until 3.30pm. We will look at you energy household, techniques to ground you and cleanse your energy, how to use Reiki for yourself, friends and family. You will learn the hand positions and become familiar with your chakras. Booking is essential, so let me know and I will get back to you. Use the ‘Book now’ button on the Meditation Tauranga FB Page, the CONTACT FORM on the Meditation Tauranga Webpage or send a PM to me. Max 8 participants. If you already had your attunement to Reiki 1 you are more than welcome to use this weekend course as a refresher, to deepen your knowledge, to spend a weekend with like minded people or just to practise. Fee is $240 (early bird) if you book 1 week before the Workshop, after that the regular fee of $280 applies, both fees include manuals. For Reiki One Practitioners of other lineages $180, for repeaters of my own lineage $120. To book into one of my group workshops or to inquire for a one-on-one teaching with me, please use the CONTACT FORM. Want to take the next step with Reiki? This Reiki Level Two Workshop is a one day intensive course and depending on the numbers will take around 6 hours. Very popular also is to take this step in a one-on-one teaching with me. So you can book whenever it suits you and get a quite intensive teaching and experience of Reiki 2. 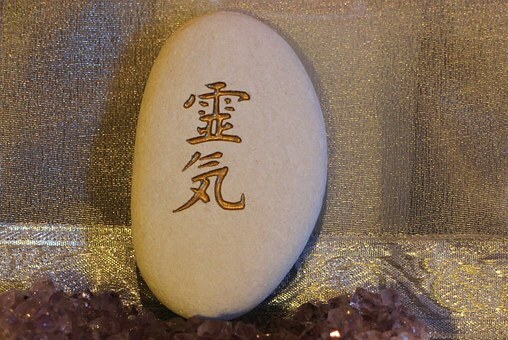 You will learn the Reiki Symbols and their benefits for your well being and everybody around you. More in depth Reiki on the day and ongoing support on your Reiki journey. Booking is essential, so let me know and I will get back to you. Use the ‘Book now’ button on the Meditation Tauranga FB Page, the CONTACT FORM on the Meditation Tauranga Webpage or call me on 022 64 300 64. Investment: $340 ($280 Early Bird if you book until 1 week before) both rates include manual. If you already had your attunement to Reiki 2 you are more than welcome to use this weekend course as a refresher, to deepen your knowledge, to spend a weekend with like minded people or just to practise. In this Master Class the Master symbol and practical techniques will be given, as well as a deeper look into working with affirmations and Chakras. In order to master this course I need to be sure that it is the right time for you to become a Master of Reiki. We will find out in sessions together. Please feel free to contact me about requirements, price and time if you are interested.